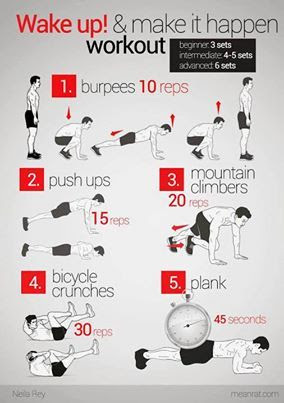 Tips for quick workouts on days that you may be in a big hurry but still want to get in a workout. I know for me there are days that I just don’t have the time I’d like to have to get in a workout, but I always manage to do it anyway. Because if a person ever starts back sliding and skipping workouts, then before you know it a month has gone by without workouts, then the next time you have the guts to get on the scales you will notice you’ve gained back everything you had lost. When the workouts stop, so does the good eating habits! These tips above have helped me to stay accountable to my 3 times per week workouts that run anywhere from 15-30 minutes per workout. To me, there are no excuses for not making the time when it is only 3 times per week and as little as 15 minutes. Look in the mirror and see if it’s the person you want to see. If not, then now is the time to stop making excuses for yourself and take back control of your life, your body and your mind. Stay away from negative people who may be discouraging you and filling your head with trash. Stay away from the negative things like; news, crappy TV shows, and crappy radio stations. Instead, watch things like HGTV that you can learn something from, read good books, like; Think and Grow Rich by Napoleon Hill, or Secrets of the Millionaire Mind by T. Harv Eker. Listen to K-Love on the radio instead of some garbage talk show, or some head banger crap. Using these tips for quick workouts above will hopefully motivate you and inspire you to get the body that you’ve been dreaming of, instead of the one you see in the mirror daily that you don’t like. It just takes 15-30 minutes only 3 times per week to get in the best shape of your life, as long as you are watching what you eat, keeping the carbs down and the protein high, and the most important is: keeping track of everything you eat, drink, and keeping track of your workouts with something like MyFitnessPal app, or Lose It app. These apps are free and they work so darn good. They will keep you honest and accountable as long as you are honest with them and enter everything you eat and drink on a daily basis…and pay attention to it. Tip for eating: Keep your protein level higher than the fats and carbohydrates you take in on a daily basis. By doing this, it will allow much less fat to store in your body and help you maintain and lose the weight you want to. Protein levels are very important, and by keeping your protein level higher it will also give you more strength and help you build fat burning muscle. REMEMBER: Muscle BURNS Fat! Whey Protein like Jay Robb Whey Protein will do more for you than anything else that you can use. It taste awesome and it works! You can get this whey protein at any Vitamin Shoppe store or go online to The Vitamin Shoppe and get it there at a discounted price. I personally love the chocolate and vanilla the best. Drink lots of water and skip the pop or energy drinks. How much water should you drink per day? Visit here << to find out. P.S. 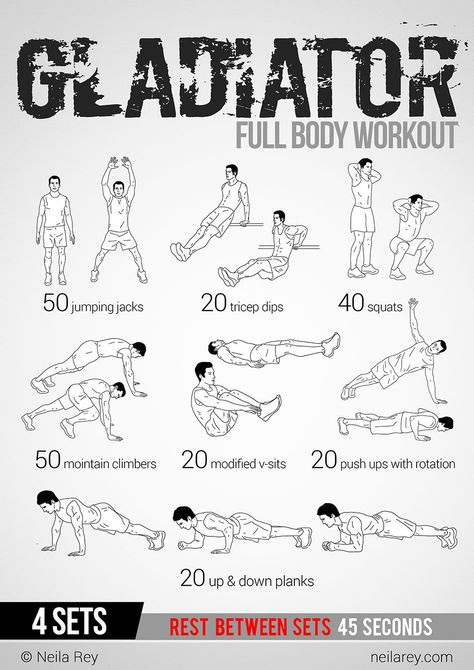 Take a look below at these workout charts for something that you might be able to slip into your busy schedule. Don’t forget about resistance bands like I use. These bands can be taken anywhere, like your office, on the plane, in your travel bags, or a backpack. These resistance bands are very effective and anyone can use them. Some say that you can’t add muscle or get in incredible shape using them, well, those that say that are lazy people that have never used them and have no idea what they are talking about. Tips for quick workouts above and below, so start weaving some of these ideas and tips into your weekly schedules and I know you will see huge improvements. Want some simple resistance bands workouts? Check out this blog post << and see more effective, simple, and workouts that deliver results without having to have expensive gym memberships. Make sure you log everything you do as far as exercises, walking, mowing the lawn, cleaning the house, and especially your meals and snacks. I recommend the free app called “MyFitnessPal” and use the free Garmin Connect with it so that you can see your graphs on everything. You can also monitor your sleeping habits with these apps. I like the Garmin Vivofit wrist watch that is slim and comfy. It counts your daily steps, heart rate and more. It syncs with “MyFitnessPal” and Garmin Connect to give you your results and graphs. You will enter your food and other exercises into the MyFitnessPal and then it syncs with Garmin Connect. Your steps are automatically recorded for you right to MyFitnessPal. Visit here to learn more about Daily Steps using Garmin Vivofit. It is amazing what 10,000 steps or more per day will do for you. Most people don’t walk near enough, nor do they drink enough water. You should be drinking at least 6-8 glasses of water per day, and preferably more than that. More Tips for quick workouts, eating habits, losing weight, workouts, stretching, vitamins and supplements, and how important whey protein powder really is for you can all be found on this blog. If you aren’t recording everything, or keeping track somehow, then you will never reach your goals. It is just to easy to cheat and not even realize it.